KOLKATA:The state committee of the Bengal unit of the CPI (M) sat for a one-day session at the Muzaffar Ahmad Bhavan on 24 May. Central committee member Benoy Konar presided. The primary albeit analytical observation of the Bengal CPI (M) on recent developments including the elections, past and forthcoming, plus the emergent tasks ahead was identified by Bengal state secretary and PBM Biman Basu. PBM and Bengal chief minister Buddhadeb Bhattacharjee took part in the discussions that followed. The state committee was of the opinion that the Congress-led coalition/alliance achieved unexpected success at the all-India level of the Lok Sabha polls garnering 61 seats more than it had done in 2004. The percentage increase in votes won was less than impressive, up from 26.50 to 28.50. Congress won 205 seats, with allies the tally reached 262. There was a remarkable and welcome decrease in the electoral strength of the BJP and the NDA it leads in terns of seats won and voting percentage. NDA won 159 seats. BJP lost 02.90% of votes from 2004. The combined total of voting percentage of BJP + Congress (at 48.70%) remained below the figure obtained in 2004. Despite winning with élan, both seats in Tripura inclusive of every Assembly segment there, the Bengal and the Kerala CPI (M) lost 25 seats it had won in 2004. The CPI (M) won a total of 16 seats but the CPI (M) vote share has lessened but from 05.66% to 05.52%. The total seats won by the Left this time lessened from 61 the last time around to 24. The Bengal unit believes that the electorate did not accept the slogan for the Third Front. The Third Front won 78 seats with a voting percentage of 21%. However, none of the three political sides in contention could anticipate the results that came out. The so-called surveys carried out by the media were a miserable failure in this regard as well. There is need for deep-rooted surveys and analyses at the all-India and the state level in a wide manner to identify the reasons why such electoral results were obtained. This will take some time to go through. Primarily, the Bengal state committee has highlighted two issues in this regard. First, despite the exceptions obtaining in several states as far as results were concerned, the nation’s electorate especially the secular part being conscious the terrorist threat in particular, regarded the Congress as the more reliable vehicle for the setting up of a stable government as against a hung parliament and instability. The people were also eager to prevent a return to office of the communal BJP and this is a contributory cause why the support of the secular vote behind the Congress platform increased. It is true that it was the pressure from the Left that saw the passage of legislations like the NREGA, the adivasi and forest rights bill, and other social welfare programmes. Nonetheless, the electoral benefit was reaped by the Congress as a party. The Left fought the election in different states in conjunction and in alliance with a number of ‘non-Congress, non-BJP’ political parties. This was necessary to build up a ‘non-Congress-secular’ electoral alternative at the all-India level. The people did not accept as a stable, reliable alternative such an alliance that grew up immediately prior to the elections in some states. The state committee believed that the all-India trend of results played a decisive role in election results obtaining in Bengal. Yet even if one took that into calculation, there was no denying the importance of resolving the errors of omission and commission in organising the Bengal CPI (M), the Bengal Left Front government, the Panchayats, the municipalities, and the programme of deep mass-contact. The Bengal CPI (M) shall identify these lacunae in a specific way and attach more importance to rectification of the political-organisational fault-lines. The Bengal CPI (M) shall learn the necessary lessons from the verdict cast by the mass of the people of Bengal in the Lok Sabha elections, earnest and eager as the Bengal CPI (M) is to introspect deeply and to look forward to critique and advice from the people. A large number of comrades have taken a huge risk, and have struggled to the cost of their lives in the run up to and during the elections., and 34 have been martyred by the enemies, bringing up to a total of no less that 353 members of the Bengal CPI (M) who have had to lay down their lives in the line of pro-people struggles and movements. In an ambience of animosity and attack on the part of the enemies and their running mates, a vast number of the mass of the people have come forward to support the Bengal Left Front with a steeled resolve. The people devoted themselves heart-and-soul in a struggle that involved standing face-to-face before the combined enmity and might of the attack being centred on this Left bastion with the active participation of US imperialism’s conspiracy, the use of money and muscle power, and the constant attacking mode of the media. Their contribution and support will form the edifice on which the struggle in the days ahead would be built up and mobilised. It does not carry with the ideological stance of the CPI (M) and the historical experience to ponder about the long-lasting character of the elements that make up the present situation. Newer sections of the society would be pulled into the main stream of resistance and struggle because of the insistent transfer of the burden of the worldwide economic crisis onto the shoulders of developing nations like India, the surrender of the Indian ruling classes before imperialist pressure-tactics, the consequent price rise, unemployment, closure, and lay off affecting India and her people. People across the board of political affiliation shall be the victims of the process of economic and social dysfunction. In the circumstances that have appeared before the nation, it is the Left and the Left alone that can organise in a broadest platform, all the ‘non-Congress secular’ forces in the country based on a common minimum programme. The struggle towards this a target must be kept up relentlessly. The unity of the Left Front must be continued with and further improved in every sense. One of the primary tasks before the Bengal CPI (M) comprised making the Party units and the supporters and sympathisers of the CPI (M) more and more pro-active. There may well be attempts made in the days to come to create limitless opposition against the ongoing and continuous attempt by the Left Front government to implement pro-people programmes. At the same time, the Bengal CPI (M) must stand prepared and ready to face such attempts as might well be made to hold the Bengal LF government responsible for non-performance in implementation of programmes, and create an anarchic situation by creating a series of law-and-order violations. 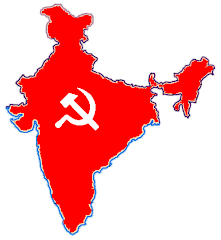 CPI (M) workers, sympathisers and the mass of the people must initiate attempts step-by-step to build up a most massive movement of the people to defend the democratic situation in Bengal, to guard the integrity and solidarity of the state, and to protect with care the programmes of development. Lost allies must be brought out of their present position. Newer allies must be found. This is possible once the way is cleared for further consolidation of the struggle for defending the democratic rights of the mass of the people. Political mass contact must be made in a deeper and wider manner. The relentless flood of misinformation, lies, and slandering against the CPI (M) and the Left, in the corporate media must be nailed. There should be no attempts to either create aggravation or fall into the trap of provocation. There is need now more than ever, for patience, toleration, control, and intelligence. The people must be reposed trust in and the trust of the people in the CPI (M) must be further enhanced. The task of deepening mass contact must be augmented through appropriate reorganisation of the ongoing tasks. Specific measures must be taken to up to increase the believability, trustworthiness, acceptance, and credibility of the CPI (M) amongst the mass of the people.